Google has launched a new unified payments service named Google Pay, which combines Google Wallet and Android Pay. The functionality of the new app is mostly unchanged. 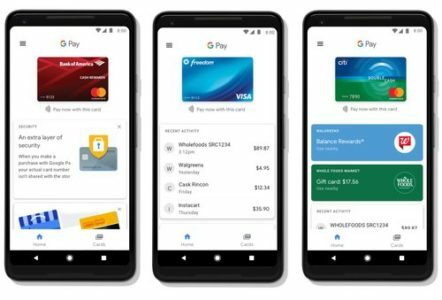 Google Pay app interface has two tabs – Home and Cards. As per the images on the Google Play store, the Google Pay app shows recent payment activity, offers and stores available nearby, and a card-style interface which includes a user’s debit, credit, and other cards. With Google Pay, you can check out in hundreds of apps without having to enter your payment information. In a blog post penned by two of the company’s Consumer Payments directors, Google said the updated app is “just one part of everything we’ve got planned”. Google Pay will work for transit in cities including Kiev, London, and Portland. The search engine giant said availability in more cities will be added soon. Google also plans to integrate “Google Pay Send” into the app in the coming months that lets users send money to friends using their phone number, similar to Venmo or Square Cash. Google Pay app has rolled out globally for Android devices.